The Brazilian playmaker moved from Brazil's Santos to the Spanish giants in 2013. Spain’s national court has rejected Neymar’s request to throw out a probe into his transfer to Barcelona two years ago. 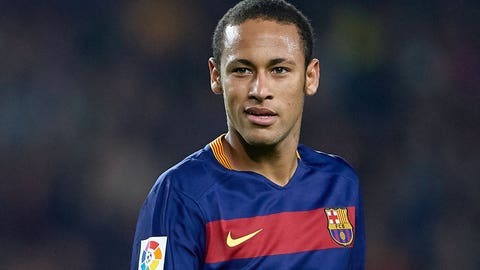 The court announced Wednesday it will look into a complaint made by a Brazilian investment group which claims it was financially harmed when Barcelona and Neymar allegedly withheld the real amount of the player’s transfer fee from Brazilian club Santos in 2013. The complaint made in June by investment group DIS also names Barcelona and Neymar’s father as defendants, along with former Barcelona president Sandro Rosell and current president Josep Maria Bartomeu. The investment group was entitled to 40 percent of Neymar’s transfer from Santos, but it claims it received smaller compensation than it should have received because the parties concealed the real amount paid by Barcelona.